This morning, in reporting news we already knew (Tom Brady wouldn't be at OTAs for the second season in a row), Ian Rapoport of NFL Network tacked on a snippet of new info. That Brady "may bulk up" for 2019. For anybody on the Brady Body Beat - and who isn't at this point? - this is decidedly unpliable news and demands further investigation. This is the skinny. Over the course of the nearly eight-month season (late July to early February) every player loses size. Brady usually loses about five pounds. Last year, he finished the season at about 223 pounds. This year, the aim is to come in closer to around 232. The TB12 diet and approach will stay the same; the resistance workouts will just employ heavier bands. There's no singular reason for the switch. Switching up the routine and goals to keep them fresh seems the primary goal. The second is just wanting to be a little more filled out. 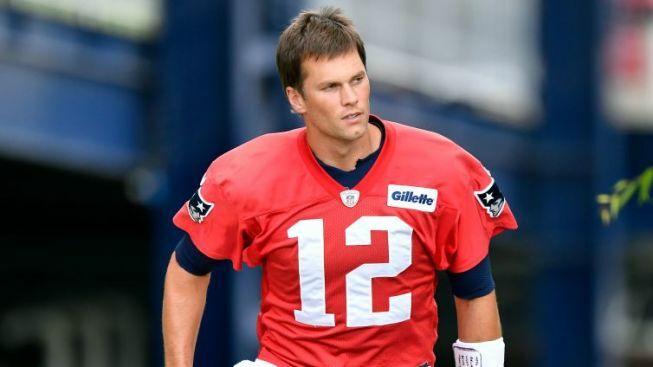 As for the OTAs, Brady not being there at the start pretty much seals the deal that he won't be there for any save the mandatory minicamp in early June. As Jerod Mayo told us last year, Bill Belichick prefers players to either be all in or all out for OTAs, not saying, "I'll be there for Tuesday and Wednesday of this session but will miss Thursday and can't make the next one but should be at Phase 3…." There's a lot less hue and cry over Brady's not being there this year because A) the Patriots ended up with another Lombardi anyway, B) the subplot of Brady seeking purpose - which the final episode of Tom vs. Time invited - isn't present and C) the Belichick-Brady relationship seems to have come through the agitations of 2017 and early 2018 stronger than it's been in a while. That doesn't remove the fact Brady is skipping workouts that for years the team has described as the first critical step in building success for the coming year. Statements we've dutifully reported. But it's hard to look at his absence as a BFD when, in the end it turned out not be a BFD at all.